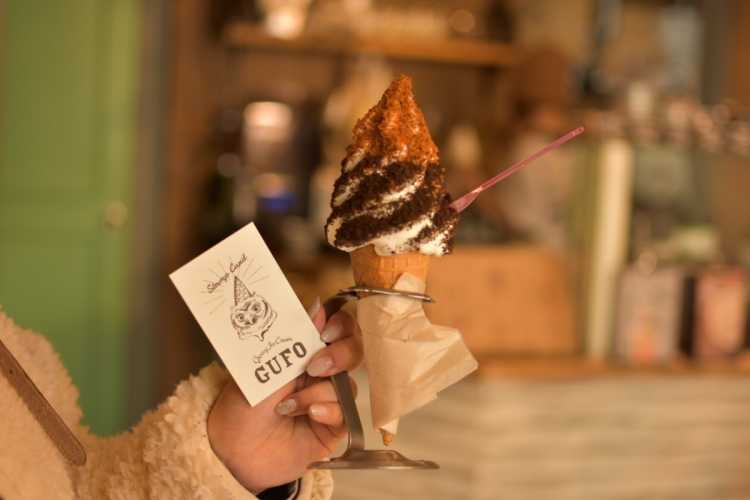 Groovy Ice Cream GUFO is a specialty shop of soft serve ice cream. They offer the season's limited one and regular one. We can choose ice cream from two kinds, and many kinds of toppings as you like! The shop assistants explain one by one for you. 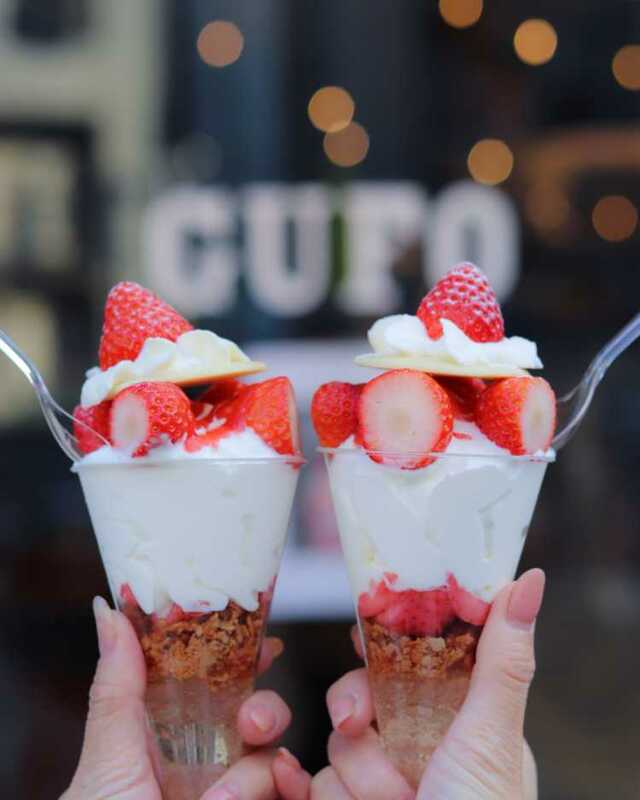 GUFO is an ice cream specialty shop. We can choose milk or Hazelnut, then select the toppings such as sauce, nuts, and crushed cookies on the ice cream. 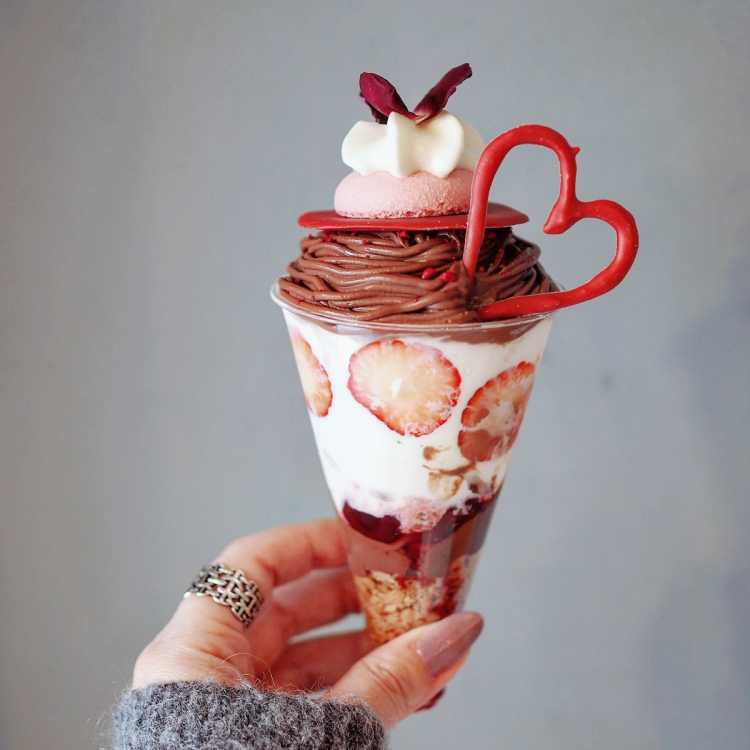 Their parfait offered for only the limited term is also a good-seller.